The colonists had rallied up to protest against the British troops in order to protest against the ongoing import of more British troops. The colonists eventually started to riot and throw things at the soldiers. The Sons of Liberty Called this the Bloody Massacre in order to get the colonists even angrier. This took place March 5, 1770.
they mainly protested by throwing object at the soldiers. Eventually a gun went off and at total of five colonists were killed. They called it the Bloody Massacre in order to rally up the colonists against the British. They were protesting the amount of British soldiers entering the 13 colonies. Because of this t\even more riots broke out and the colonists would boycott the Townshed acts. 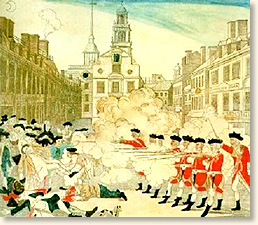 People wanted the soldiers to get punished for killing five men in the Boston Massacre. 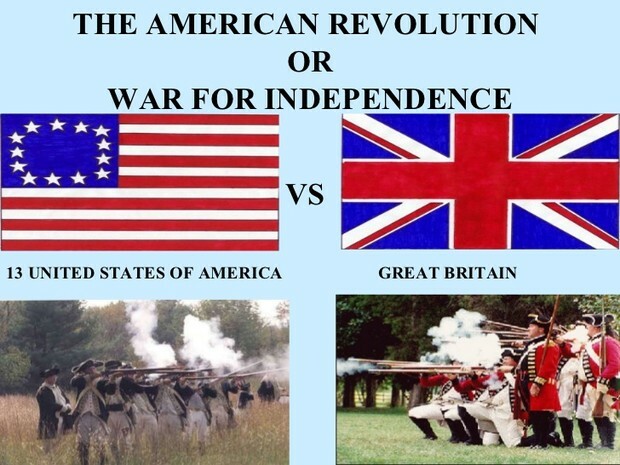 This was also one of the reasons for the beginning of the American Revolution. People accused the soldiers for being murderers. 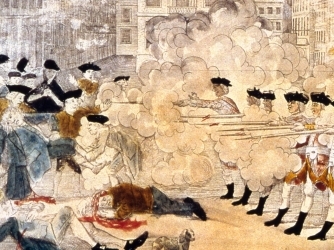 The Boston Massacre was one of many protests against the British that had sparked the Beginning of the American Revolution. These results had happened in order to fight for their freedom, all because of five deaths from the Boston massacre. They had tried to win their independence and they believed they wanted to be free from the British and be their own country. They committed to these protests for lengths of time just for that belief, and they eventually got their independence.